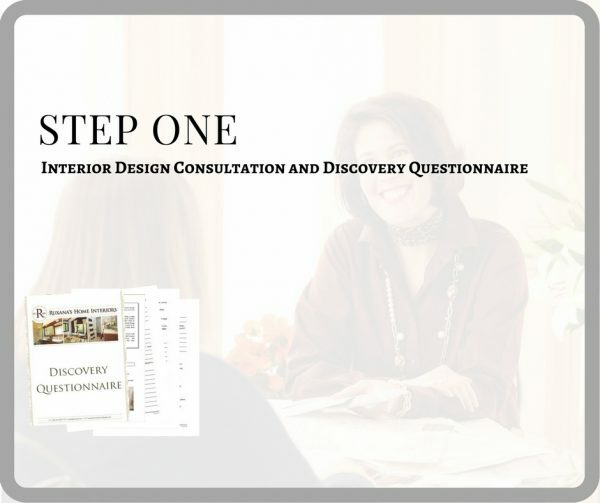 A resource that I provide to clients prior to our initial consultation is a Discovery Questionnaire. This 8-page document prompts dialog and discussion between couples from things as mundane as favorite paint colors to more serious issues of health and wellness. I say that I don’t “design by committee”….you know the adage about a horse being designed by committee, right? In design, you get something much uglier than a camel. However, in the case of a husband and wife, it’s a joint vision and it’s my responsibility to honor that. The detailed questionnaire (a workbook, really) is a valuable tool that helps clarify priorities, goals and vision. The questionnaire provides me with a glimpse into issues prior to my arrival on a client’s doorstep, saving time and therefore money. For larger, more comprehensive projects, the questionnaire is a building block of our design foundation. If a client is simply interested in some fresh ideas then the consultation is straightforward: I verbally provide an assessment of the issues and provide them with feedback. In 90 minutes we can select up to 5 paint colors (2-3 rooms), plot an optimal furniture layout, discuss the fundamentals of a kitchen design or develop a realistic budget for a bathroom renovation. Most of my consultations, however, are to discuss the scope of work for a larger project, such as furnishing a living room or renovating a kitchen. In those instances the initial consultation is STEP ONE in our 13-Step Design Delivey Process. If you’re interested in hearing more about our linear, 13-step process, or the services we provide, book a complimentary introductory chat HERE.